Business leaders are able to see a return on investment when they get involved in education. They need schools to help prepare students for an evermore sophisticated work future—a future driven by technology that is advancing at an amazing rate. Schools, colleges and universities need businesses to help them direct educational programs for 21st century learners, workers and team players. Schools, colleges and universities in Stark County have shown a willingness to respond to the needs of business. For the latest Stark County education news, visit the Stark Education Partnership Website. At Aultman College, the program you choose to study is more than a major — it’s your personal mission. If you’re driven by a desire to help others, our academic offerings will be right for you. Backed by 125 years of tradition, our institution offers degrees in nursing, radiography, health sciences, and social work. We’re focused on preparing students to become successful and compassionate practitioners and leaders in the health care field. Explore our list of academic programs click here. Located on 200 acres near Canton, Kent State University at Stark is Kent State's largest regional campus and has been serving Stark County and the surrounding area for 70 years. 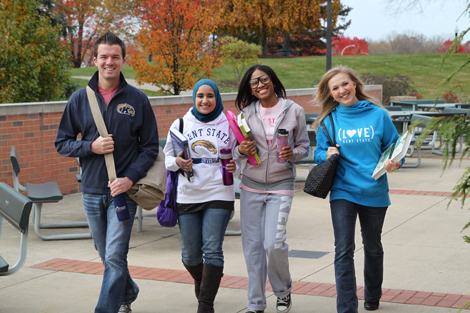 As Stark County's only public university, Kent State Stark offers 20 bachelor’s degrees, four master’s degrees, three associate degrees and more than 30 minors, as well as the opportunity to begin coursework in 282 bachelor’s degree programs at Kent State University. With more than 50 undergraduate majors, 12 master’s degree programs and degree completion programs in nursing and management, Malone seeks to meet the educational needs of learners of all ages with over 2,500 graduate and undergraduate students. As a comprehensive university of liberal arts and sciences, Malone is structured into four academic units including the College of Theology, Arts & Sciences, School of Business & Leadership, School of Education & Human Development and the School of Nursing & Health Sciences. The University of Mount Union is a 4-year private, coeducational, liberal arts college in Alliance, Ohio. For more than a century the college has been officially connected with the Methodist Church. It is now affiliated with the East Ohio, West Ohio and Western Pennsylvania Conferences of the United Methodist Church. 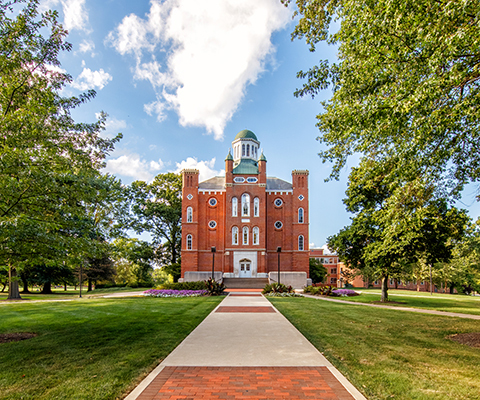 Mount Union has been ranked for 14 consecutive years as a top college in the Midwest and is also ranked as a "Best Buy" for regional liberal arts colleges in the Midwest. 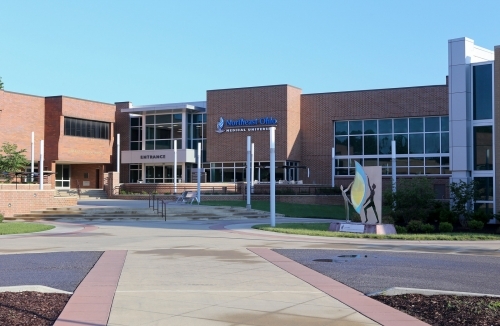 Founded in 1973 to meet Northeast Ohio’s critical need for primary care physicians, Northeast Ohio Medical University (formerly Northeastern Ohio Universities College of Medicine) opened its historical campus to its first class in 1977. Today, with the University’s mission and community base as strong as they have ever been, NEOMED has grown to include three colleges (College of Medicine, College of Pharmacy and College of Graduate Studies) of its own and nine higher education partnerships. Providing education, research and service, NEOMED improves the health, economy and quality of life of the diverse communities of Northeast Ohio. The University’s total enrollment consists of nearly 1,000 future medical professionals. NEOMED has graduated more than 4,000 medical students – Doctors of Medicine (M.D. ), Pharmacy (Pharm. D.), Philosophy (Ph.D.) and other health professionals and researchers -- more than half of whom practice in Ohio and are now contributing to economic development and providing excellent care to the patients in the region. According to a recent study the economic impact of NEOMED and its affiliated academic health care partners on the State of Ohio equaled $7.7 billion annually. NEOMED and its teaching affiliates account for over 71,000 jobs and generate over $243.1 million in total state tax revenue annually. 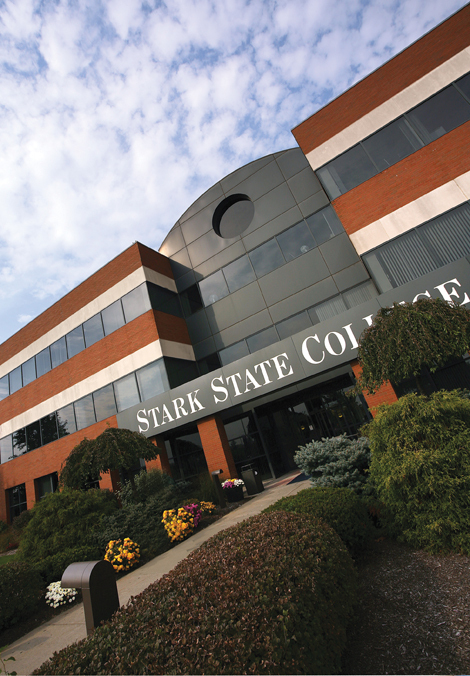 Stark State College is a student-centered comprehensive community college with transferable higher education and career development programs. The College offers more than 230 associate degrees, options, one-year and career enhancement certificates in business and entrepreneurial studies, education, engineering technologies, health and human services, information technologies, liberal arts, mathematics and sciences. Stark State enrolls over 15,000 and there are approximately 4,000 noncredit students are enrolled in continuing education and contract training activities. 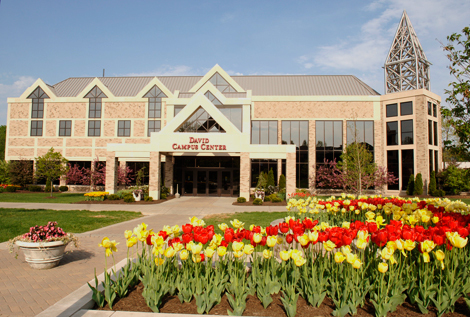 Walsh University is a 4-year private, non-profit, coeducational Roman Catholic university in North Canton, Ohio. In 2015, there were approximately 2,890 students. It was founded in 1960 by the Brothers of Christian Instruction as a liberal arts college. 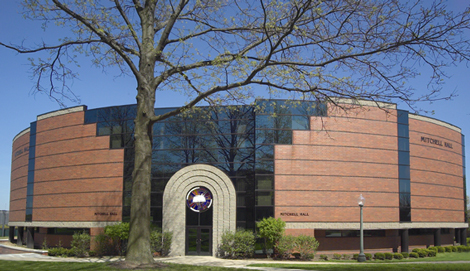 Walsh College became Walsh University in 1993. The university offers more than 70 majors and seven graduate programs including a Master of Science in Nursing, Master of Occupational Therapy and Doctorate of Physical Therapy. Walsh has satellite campuses in Akron and Castel Gandolfo, Italy. It is endorsed by the Newman Guide to Choosing a Catholic College. The mission of the local Workforce Development Board is to assist area businesses in meeting their workforce needs by coordinating the workforce development activities of the numerous employment, education and economic development entities in the region. It is their vision that by doing so, they will ultimately play a significant role in supporting the economic prosperity of our communities and their citizens. The mission of The OhioMeansJobs One-Stop partnership is to support the mission of the Workforce Development Board and enhance economic development in Stark and Tuscarawas counties by providing a common point of access to all partner programs and to the desired employment, education and training information and activities for both employers and job seekers. The OhioMeansJobs One-Stop System strives to act as a consolidated employment resource for all one-stop partner programs, employers and job seekers.